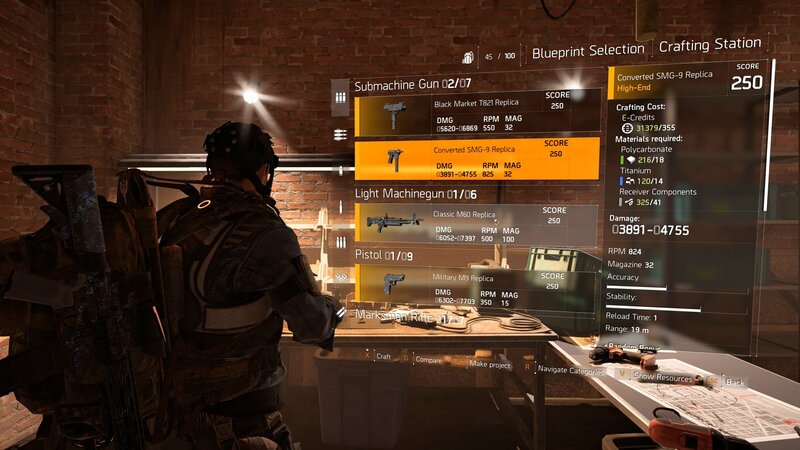 Learn how to upgrade your Crafting Station so you can craft Superior and High-End weapons and gear in The Division 2. 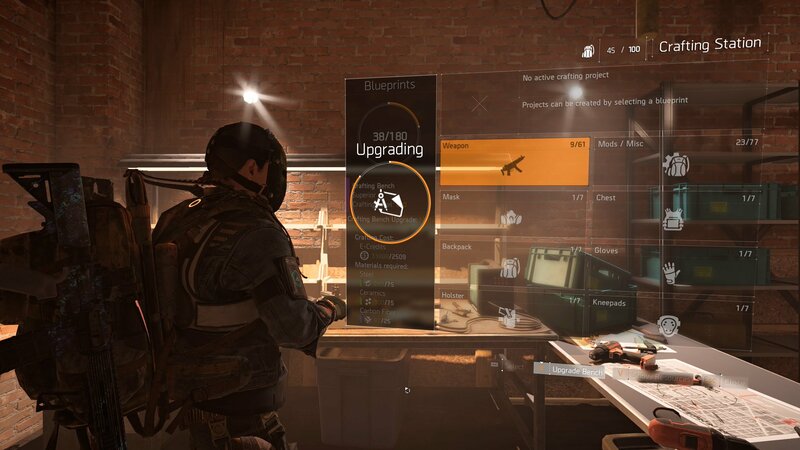 If you want to craft higher tier weapons and gear in The Division 2, then you’re going to need to upgrade the Crafting Station. This guide will show you everything you need to know to upgrade the crafting bench and start crafting Superior and High-End items with higher damage, armor, and Gear Score. While playing through The Division 2’s campaign, you’ll unlock several upgrades in the White House. Chief among these is the Crafting Station. Here you’ll be able to craft several different items including armor, weapons, and even mods. At first, though, you’re going to be quite limited, and while the first items you craft might help out, you’ll need to upgrade your Crafting Station if you want to continue using hand-crafted items in your builds. Visit the Crafting Station and hold down X (by default) on PC to upgrade apply the next Crafting Bench Upgrade. The first two upgrades for the Crafting Station are locked directly to your level. This means you’ll spend a good amount of time leveling up and exploring the world before the Crafting Station really becomes viable as a means of getting gear and items. The first level you need to reach to upgrade the Crafting Station is level 24. You will then be able to apply the Superior Crafting Bench Upgrade, which will unlock better items for you to build. When you finally reach level 29, you’ll unlock the High-End Crafting Bench Upgrade, which will allow you to craft even more powerful gear. While these are the main two Crafting Bench upgrades, they aren’t the only time that you’ll find the upgrade option available at the Crafting Station. You’ll also be able to upgrade the Crafting Station each time that you advanced through a new World Tier, allowing you to craft items that reach into the Gear Score levels that you need to progress. With the High-End Crafting Bench Upgrade applied, you'll now have the abiltiy to items with a 250 Gear Score. When you have unlocked the upgrades for the Crafting Station, all you need to do to apply them is visit the Crafting Bench in the White House and look for the upgrade option along the bottom of the screen. Hold the button down that it suggests (this will vary depending on your platform and controller setup), and the upgrade will be applied. 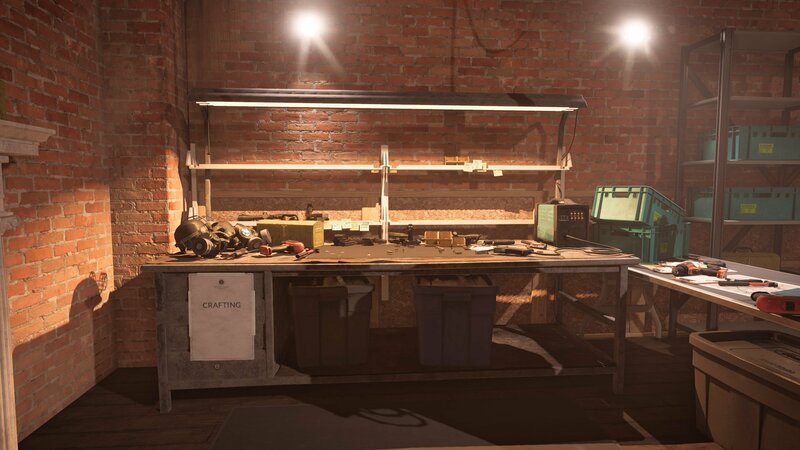 Now that you know how to upgrade the Crafting Station, and have access to better gear, make sure you head back over to our The Division 2 guides for more help as you explore the streets of Washington D.C. and take back the nation’s capital.